Introducing Refresh – a cool and refreshing font. The perfect choice for this summer!! Refresh is a light and modern handwriting font with lots of soul. File format: .otf, .ttf, .eot, .woff, .woff2 for Photoshop or other software. 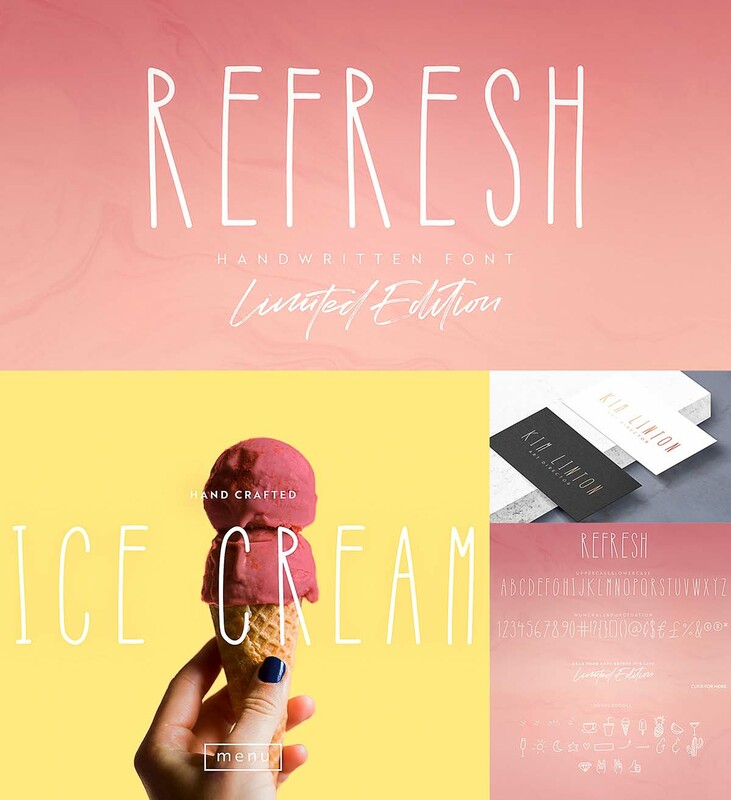 Tags: display font, handwritten, light, refresh, simple font, thin, trendy, typography.